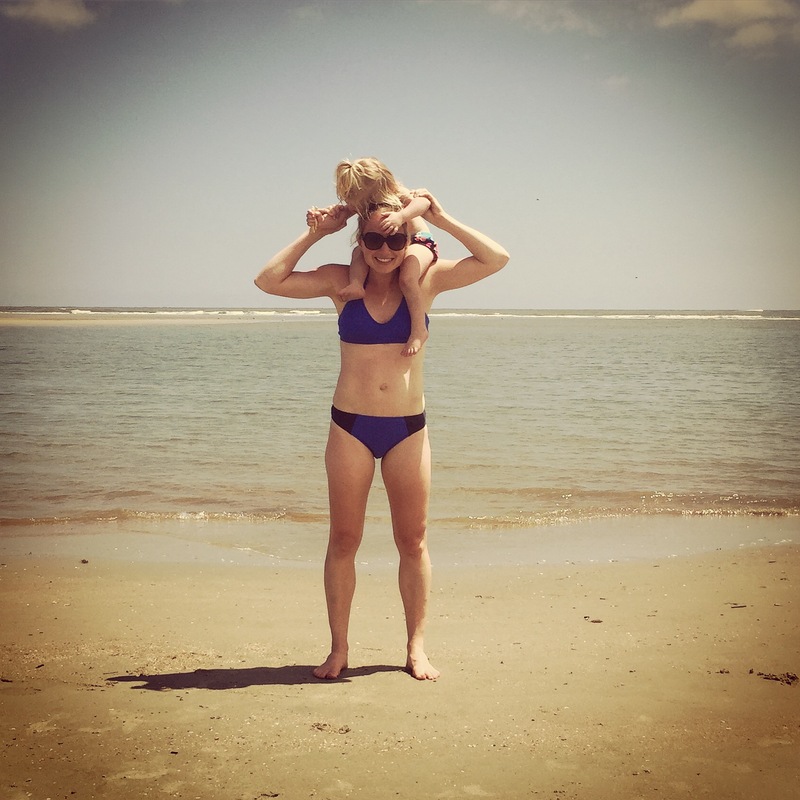 Beachin’ It With Babies + Big News! 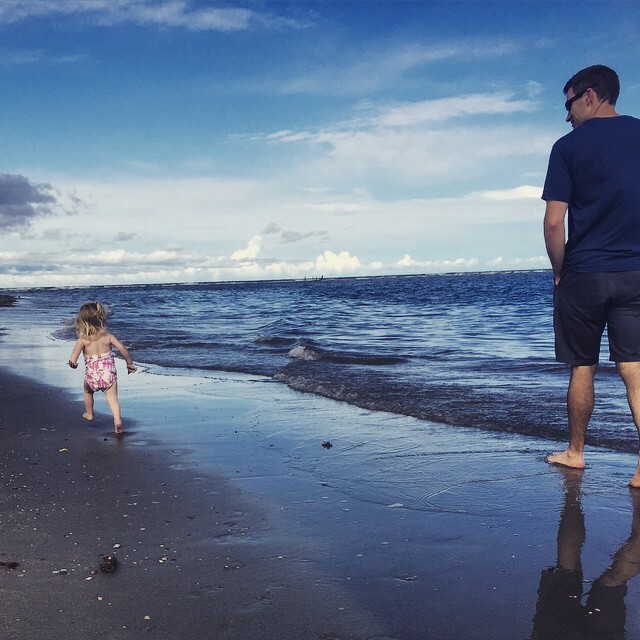 We have taken several trips since our first daughter was born. The majority of them have been as husband and wife. Each and every other time that we have taken our kid(s) with us, we have ended up at either my parent’s or my husband’s parent’s home. 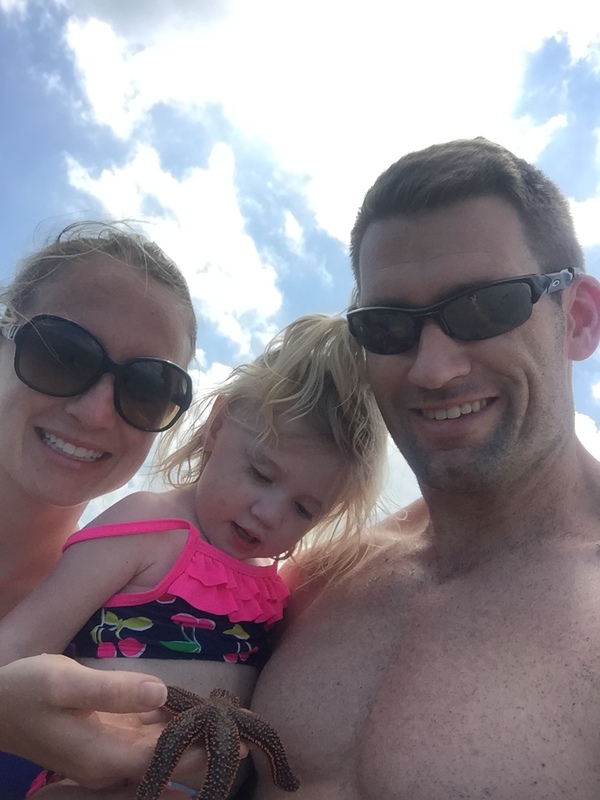 As a change up, we decided to take our first family vacation this year. We fully expected it to be something out of National Lampoons. We typically have bad luck. 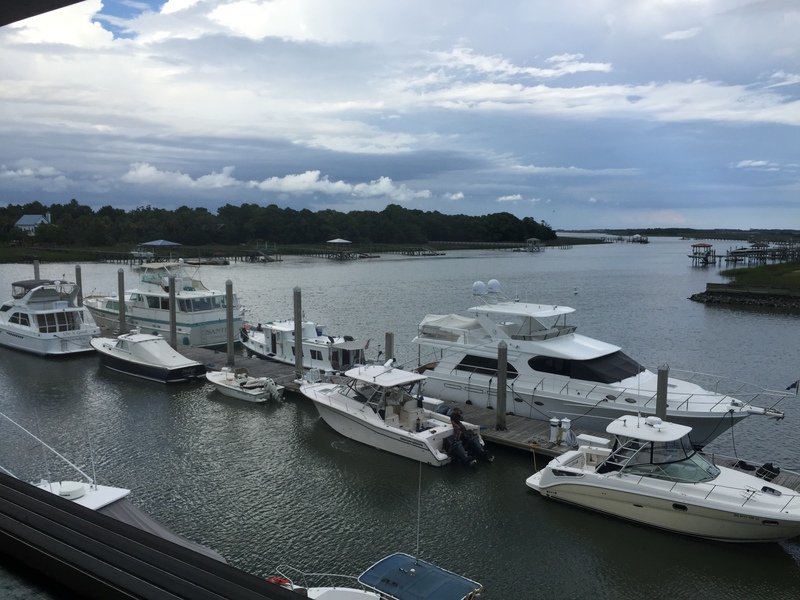 In an effort to avoid any serious stress, we planned our trip while public school was still in session and we picked a place that we could drive to in less than four hours – Isle of Palms, SC. It was our intent to drive all the way there without stopping. We packed the car and got on the road at 11:00 AM. The last thing that we did before we got on the road was feed our infant. She typically is on a 3-4 hour feeding schedule, so we thought that she would be good. My oldest daughter also naps after lunch, so we thought that if we fed her first thing in the car, we could pop in a DVD and she would be out for the last chunk of the drive. So much for planning. We didn’t check traffic on the way out. I wish that someone would have told us there was significant bridge construction going on that day right outside of Rock Hill. After cruising through the small town, we found ourselves stuck in creeping traffic for almost an hour. The kids started to get restless (already). Something about a moving car puts them at ease. We were not moving. At almost 1.5 hours in to the drive, we had only driven less than fifty miles. At this point, we knew that we would have to stop at some point. To make matters worse, as we proceeded to accelerate through the road work, a large truck spit up a small rock that hit my front windshield perfect enough to leave a nice little crack in the brand new windshield. Startling, but we moved on. It couldn’t get worse could it? You never know what to expect on an open highway. As we cruised down the interstate, a gust of wind blew a large plastic tub into our path. We veered off the road in an effort to avoid slamming into the piece of garbage blowing on the highway. My heart rate must have entered Zone 4. That was enough for me to decide I needed to take a break from driving and everyone needed to be fed and regrouped. What better place to stop than McDonald’s? 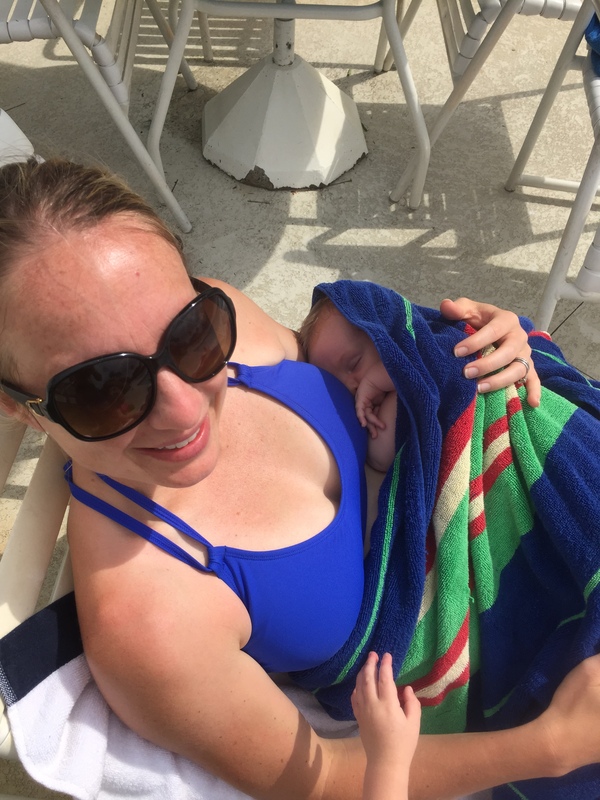 While I fed our infant, our toddler split french fries and a milkshake with my husband. It’s vacation right? We were back on the road after forty-five minutes of getting everyone settled enough to get back in the car. By 4:30PM, we were pulling into the development that we had picked to spend our family vacation at. That’s right, a 3-3.5 hour drive turned into an over 5 hour drive. That’s kids (and poor planning) for you. Thankfully, our entire trip went better than it started. Our condo rental was situated close to the beach and close to a pool. 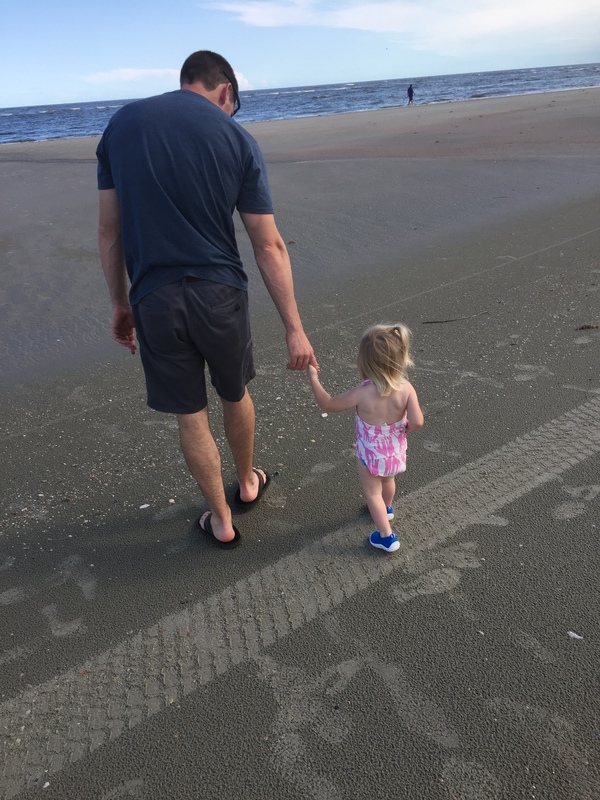 We introduced my oldest daughter to the beach the second that we got there. It’s where she preferred to stay the entire long weekend. She made a mad dash into the water. No shoes, no shirt, no problem. We couldn’t convince her to keep her shoes on the rest of the weekend. 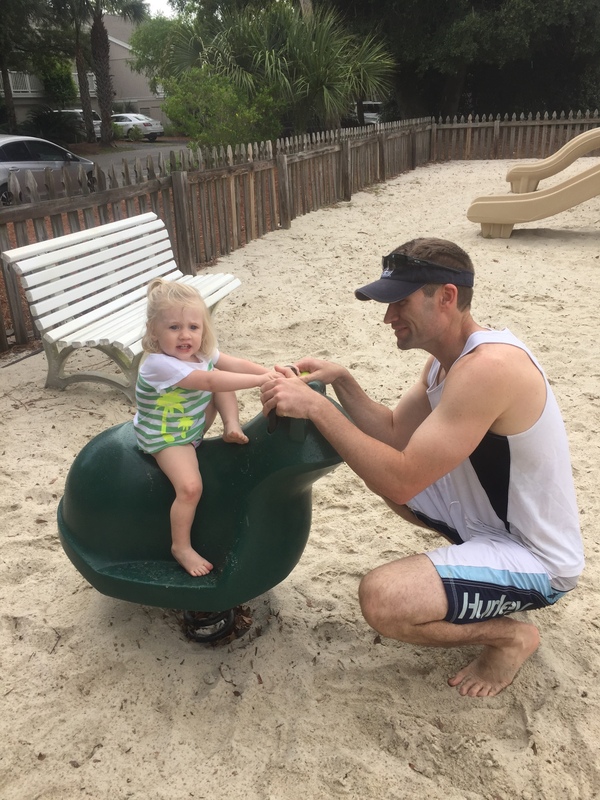 Unlike a typical husband wife trip, we spent the days on a schedule that accommodated our children. We went to bed early, and we got up early. We were at the beach, pool or playground by 9:00 AM every day. We packed it up around 12:00 PM every day to take the kids in for some shade, lunch and naps. It was a challenge for us to find time to do things on our own. 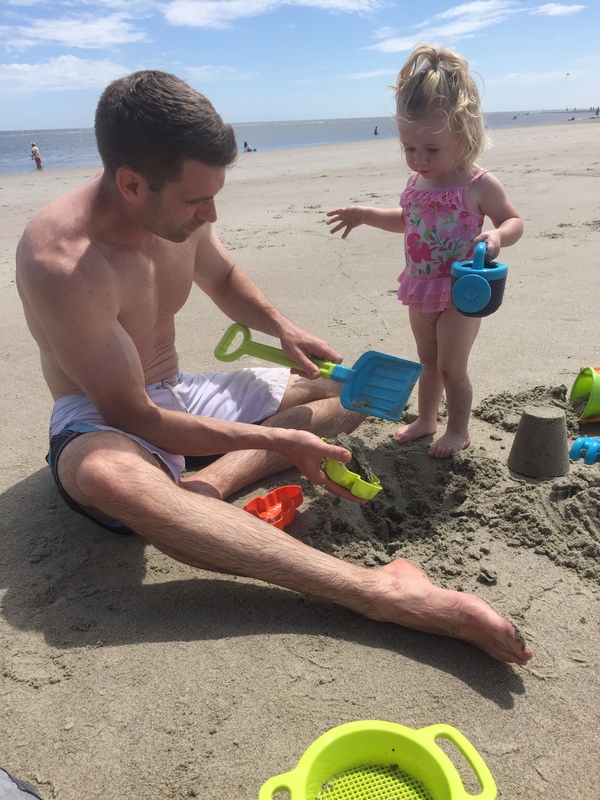 I packed work out clothes for each day that I was at the beach. I never took them out of my bag. With no help, we found it difficult to find time to get away to work out. I tried to get in whatever I could. That meant taking the kids for walks and running around with our toddler on the beach. 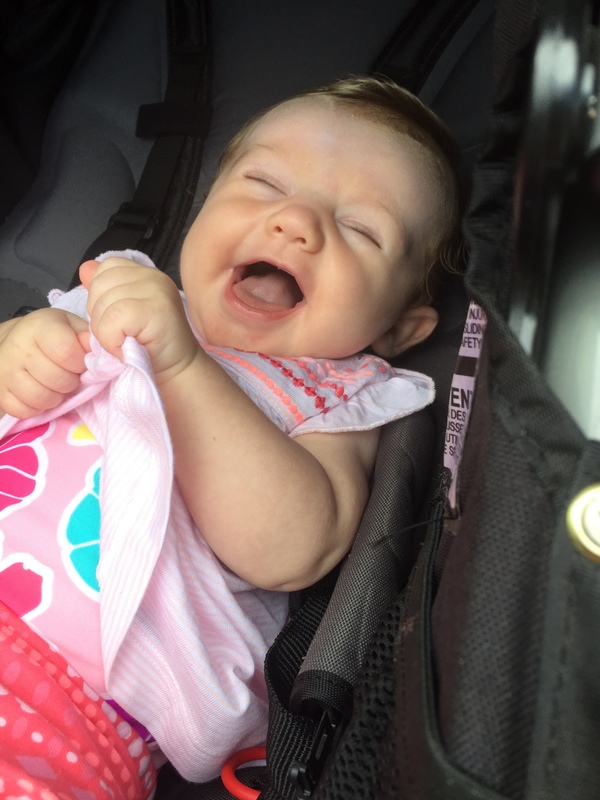 Our infant was a very good sport about being outside, but there were times when we needed to take her inside to spare her being overheated. We avoided taking her out in the sun. In fact, we bought a beach tent that we could pop up when we knew that she would be down at the beach. It also provided great shelter for our toddler. 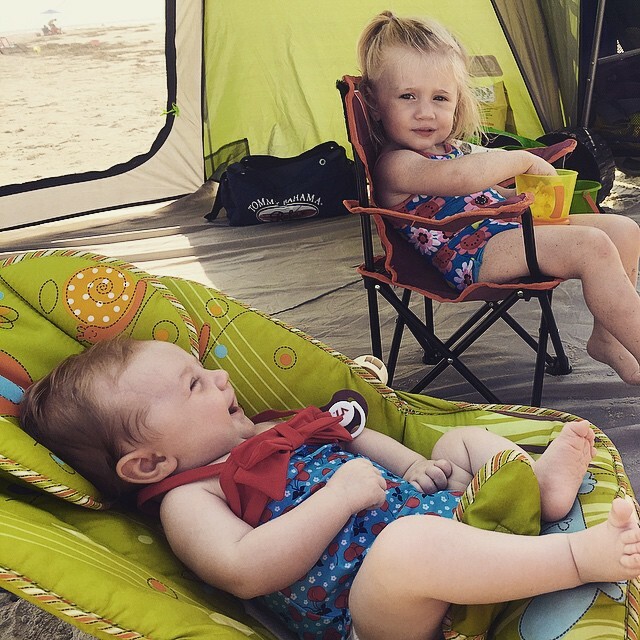 We started off just laying our infant down on a towel on the sand in the tent. 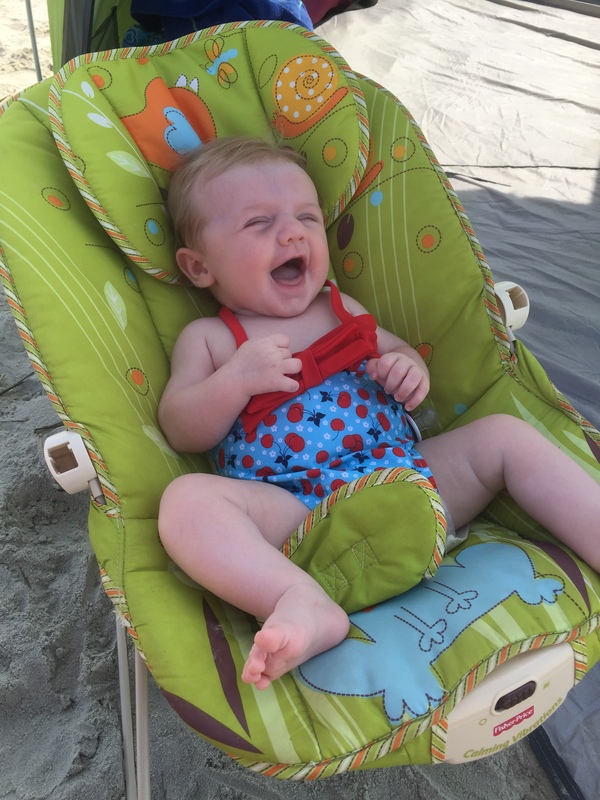 We later learned that bringing her bouncy seat down to the tent was an even better idea. She could feel that ocean breeze while sitting upright. 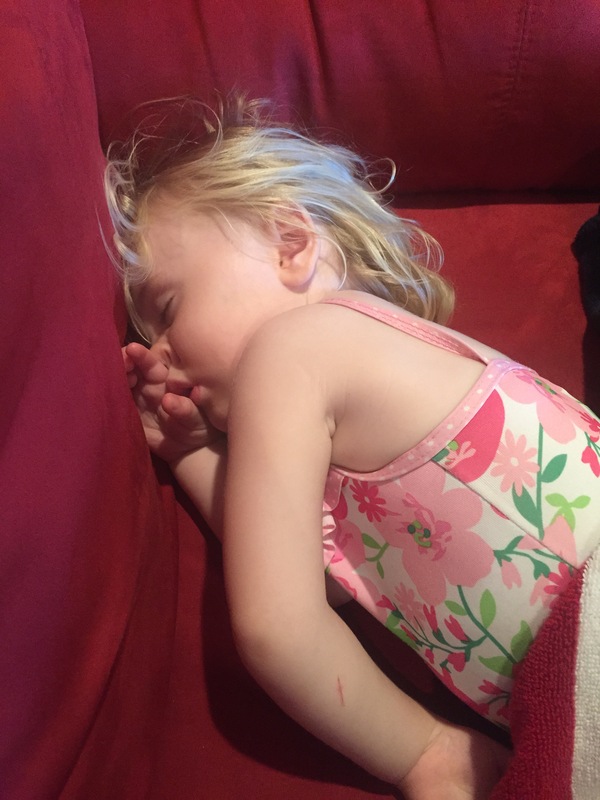 It was also easier for her to nap this way. 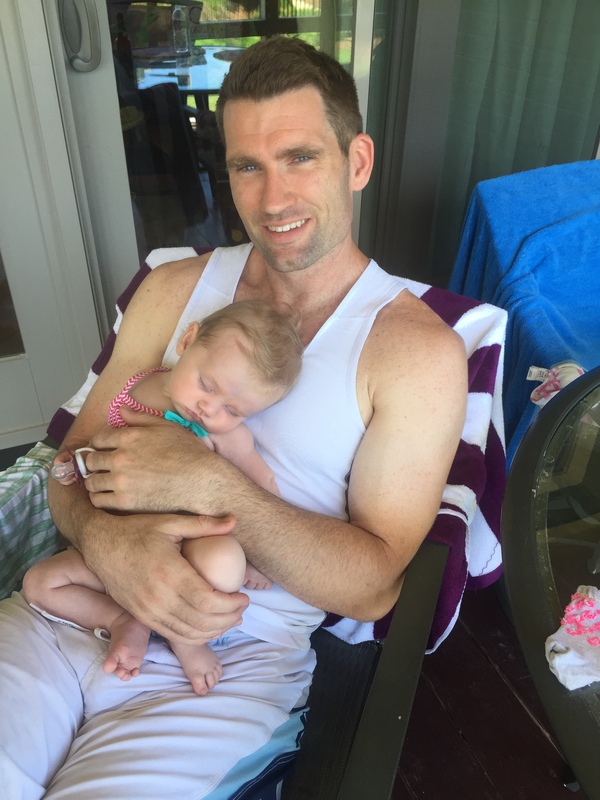 My toddler just adores my husband, so I was often stuck watching the newborn. Laying out proved to be a challenge. 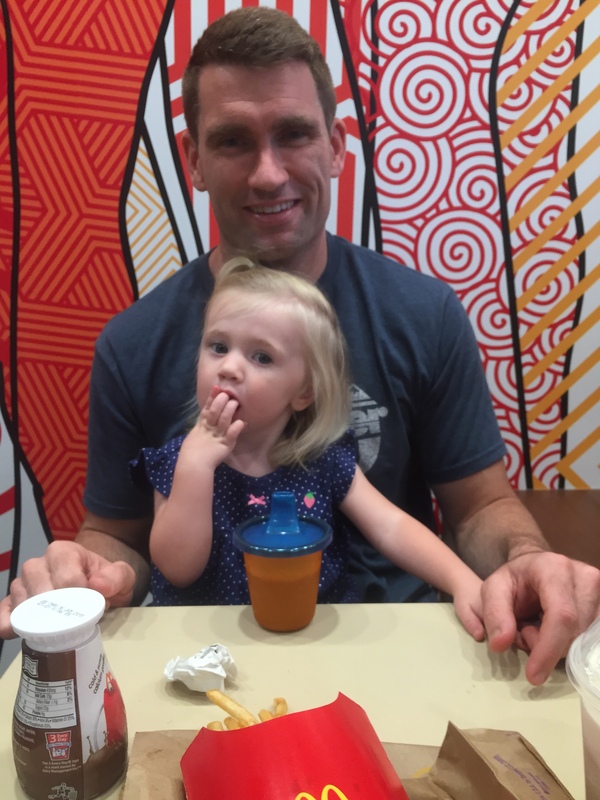 We took the girls out to dinner and ice cream one night while we were there. 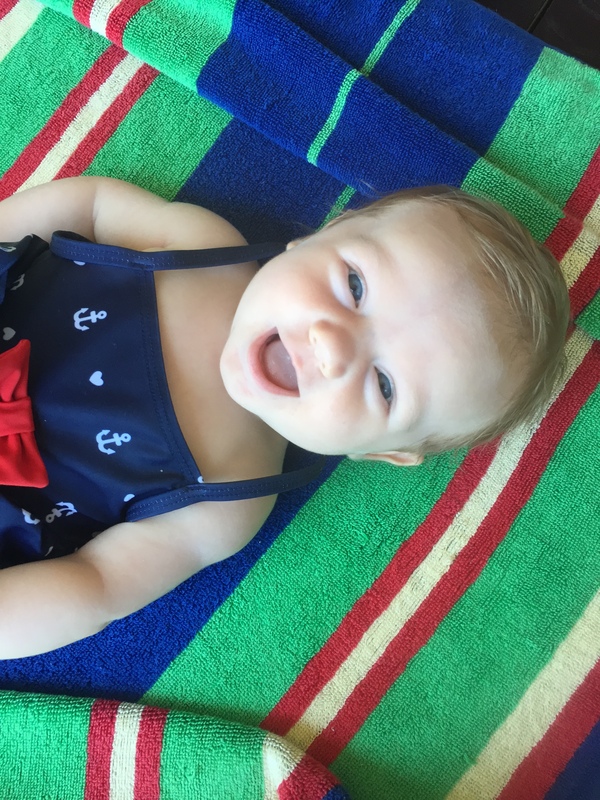 Casual, kid friendly – Morgan Creek Grill. We had never been there, nor had we heard of it. The name simply stood out based on our infant’s name. Views were incredible. Food was good. Outdoor bar. Corn hole. Great cocktails. We would take the kids back. The remainder of our meals with the kids were mostly spent at the condo – Make your own deli sandwiches, bagels, pizzas, you get my gist. We splurged and hired a sitter for one nice night out as husband and wife. 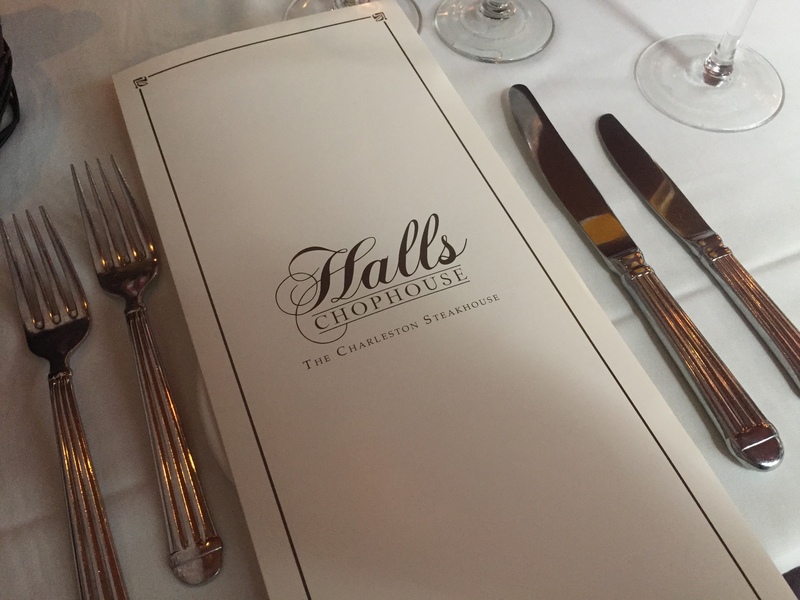 We opted to take the drive into Charleston to go to one of my old time favorites – Hall’s Chophouse. They never disappoint. I ordered my regular – 8 oz prime filet. 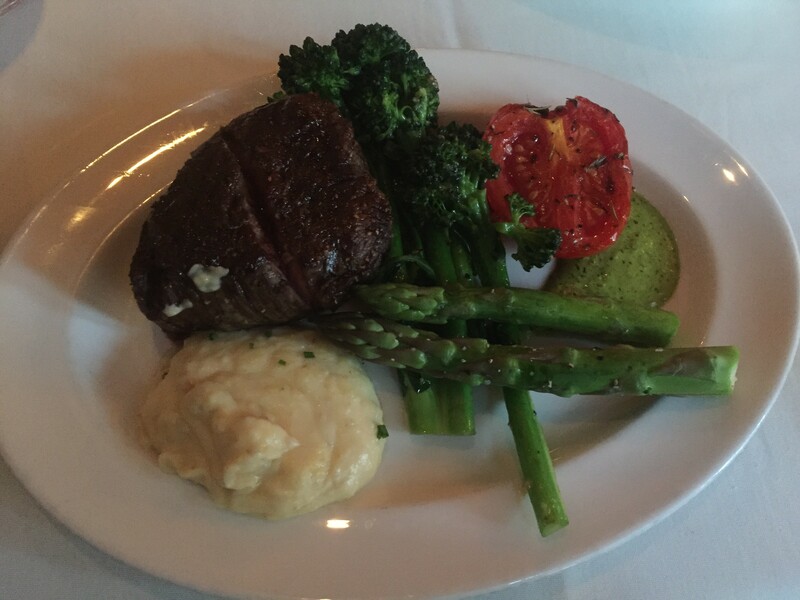 We also picked out our favorites sides – asparagus, mashed potatoes and broccolini. We were full from dinner, but surprised when the owner sent complimentary champagne and a dessert to go to our table. This is why we keep coming back. As soon as we got back to the condo, we splurged and split our rum soaked caramel cake. An evening out was the perfect way to round out our vacation. I have to admit, after a few days of not working out and eating pretty bad, I actually feel relaxed and good about it. I was on a routine that was not sustainable. I needed to take a break to refresh. Enjoy time away. I need to let go, have a few too many drinks and laugh like a child with my girls. Their smiles are contagious. It’s good to be back and blogging. 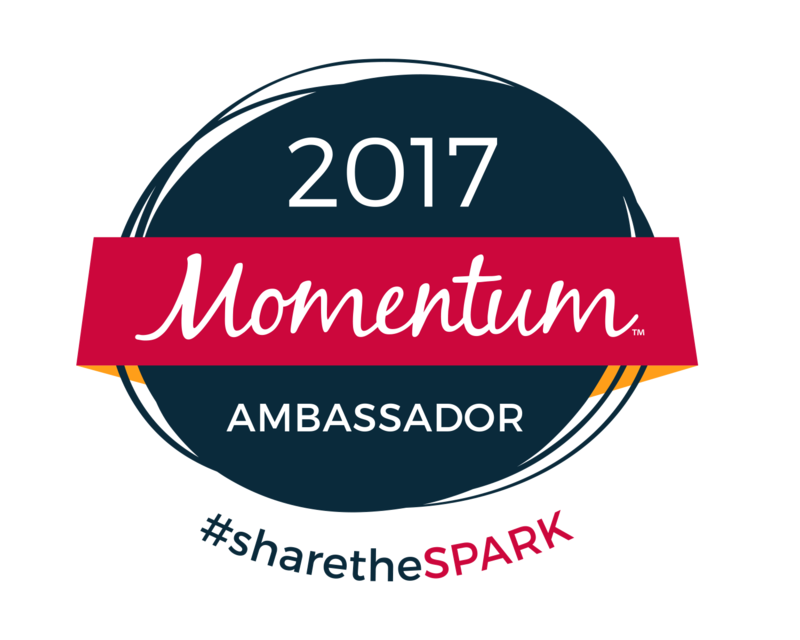 It’s also exciting to share some big news and a fun challenge for my readers. Ever heard of the Marriott Center City? Located in uptown Charlotte, the mainstream hotel is about to undergo a huge renovation. As part of the renovation, they are accumulating images from social media with the hashtag #DesignCharlotte. Some of the images will be displayed in the improved hotel. Those who participate will be entered in supreme giveaways. I love this idea. 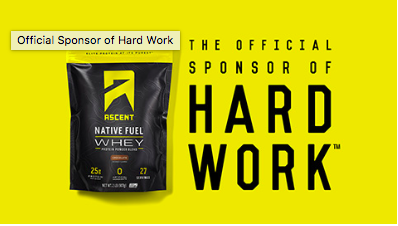 In fact, I will be working with the hotel over the next few months to spread the word. The hotel is looking for images that feature your favorite elements of Charlotte – think street performers, ball parks, favorite craft beer. I’ll start there. 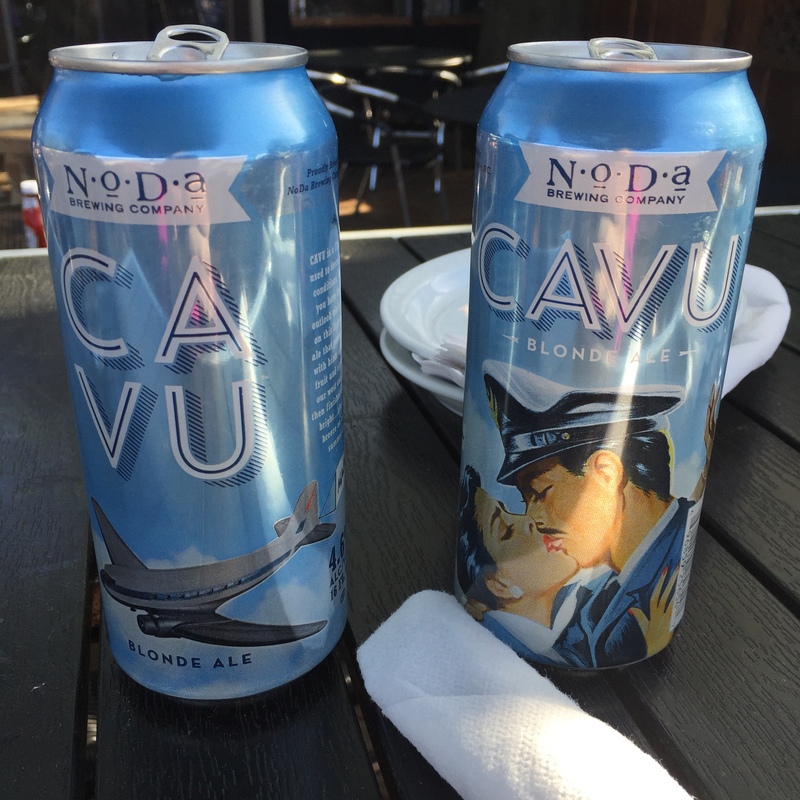 As a tribute to our favorite vacation beer, I’m introducing Noda Brewing Company beer – Cavu. Smooth. 16 ounces. Light. Perfect for the summer. 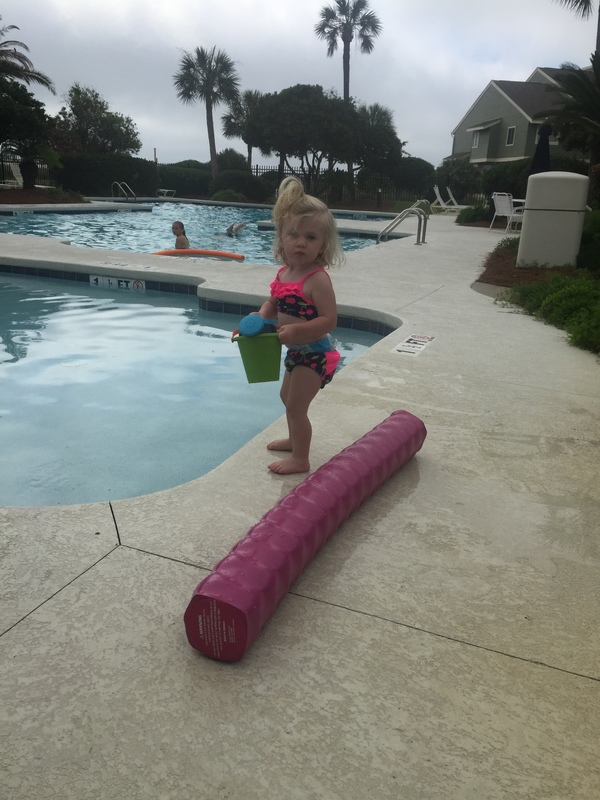 This entry was posted in Staying fit, travel and tagged Beach trips with babies, cavu, Charleston, Hall's Chophouse, Marriott Center City, Noda Brewing company, Wild Dunes on June 8, 2015 by flyjenduf.